The Atlanta Film Festival - one of only two-dozen Academy Award® qualifying festivals in the U.S. - is the largest and longest-running festival in the Southeast region, welcoming an audience of over 25,000 to discover 150+ new independent, international, animated, documentary, and short films, selected from 1,800+ submissions from all over the world. It is also the most distinguished event in its class, recognized as Best Film Festival by Creative Loafing, Sunday Paper, 10Best and Atlanta Magazine. 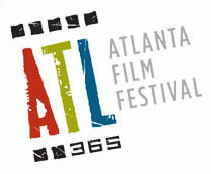 In 2008, the Atlanta Film Festival?s executive director was honored as Best Festival Director for a National Film Festival at the International Film Festival Summit. The festival runs each year in the Spring. Join in and write your own page! It's easy to do. How? Simply click here to return to Documentary Film Festivals.